While we’re still in the throes of World Cup fever, it’s the perfect time for showing off a little bit of the next generation of the world’s best selling sports videogame, FIFA. Its 2015 iteration will focus rather heavily on making the whole affair more realistic – starting with the players themselves. “We want our fans to feel the highs and lows of the drama that is football, and experience the emotional roller coaster that plays out during a match,” FIFA executive producer David Rutter said when the game was revealed. 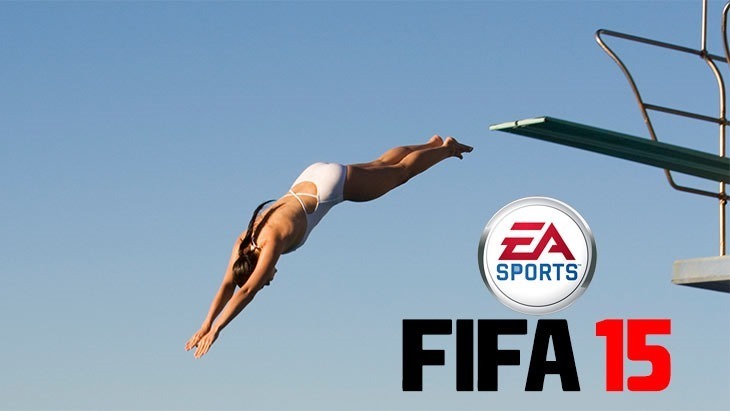 Here’s a brand new trailer showcasing just that; how EA’s working to make FIFA 15’s players look, feel and react more like living, breathing people. It’s not just the people getting a makeover; the pitch will now weather over the course of a match, simulating real life just that little bit more. Goal posts will also rattle off of shots, and lift when a particularly powerful shot finds the back of the net. The new game will also feature dynamic ball physics, where its movement will be based off of where players feet touch its surface. It’s all sounding rather impressive, though to somebody like me it will likely end up looking just like the last game, and the one before that. I also promised the boss that seeing as it’s his birthday, I won’t include any jokes about Suarez and his maxillomandibular proclivities.